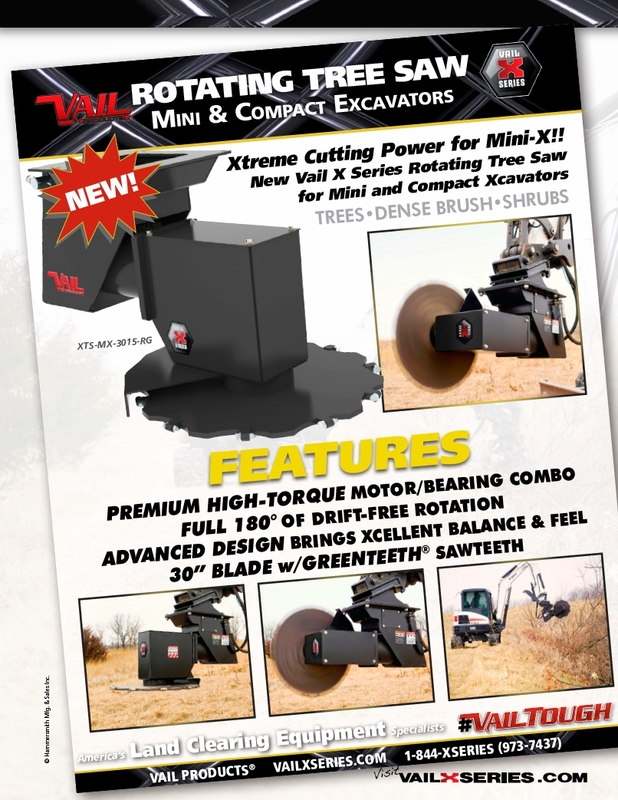 Vail Products® X Series CUSTOMIZE YOUR TREE SAW! Pick One for Each Step 3 MOTOR STEP Features subject to change without notice. XSP-TS-9-5-18 All terms and images are property of Hammersmith Mfg. & Sales and may not be used without permission. © Hammersmith Mfg. & Sales 1 CUTTING HEAD 2 HYDRAULIC FLOW 4 WIRING HARNESS • HYDRAULIC ROTATING • FIXED HEAD • 30” Diameter Blade/10 Tooth • 30” Diameter Blade/10 Tooth • High Flow (20-40 GPM)* • High Flow (20-40 GPM)* • Low/Standard Flow (15-25 GPM)* • Low/Standard Flow (15-25 GPM)** * - MUST USE CASE DRAIN ** - CASE DRAIN RECOMMENDED • HIGH-SPEED HIGH-EFFICIENCY • HIGH-TORQUE HIGH-STRENGTH • 1200-1900 RPM • Advanced Hydraulics • 14-Pin Connection Harness • 14-Pin Connection Harness (Comes Standard) (Comes Standard) • Bobcat 7-Pin Harness • Bobcat 7-Pin Harness (Additional Pricing & Options) (Additional Pricing & Options) STEP STEP STEP Non-Bobcat® Model Skid Steers & Compact Track Loaders: Model pricing includes 14-Pin Connection Wiring Harness, 5 Gallon herbicide spray tank, spray nozzle, & hoses. ***Couplers are sold separately. Bobcat® Model Skid Steers & Compact Track Loaders: Model pricing includes 5 Gallon herbicide spray tank, spray nozzle, & hoses. ***Bobcat® 7-Pin Wiring Harness Couplers are sold separately.